Bathtime fun, times two! An adorable duo heads for the tub in this board book companion to Playtime for Twins. 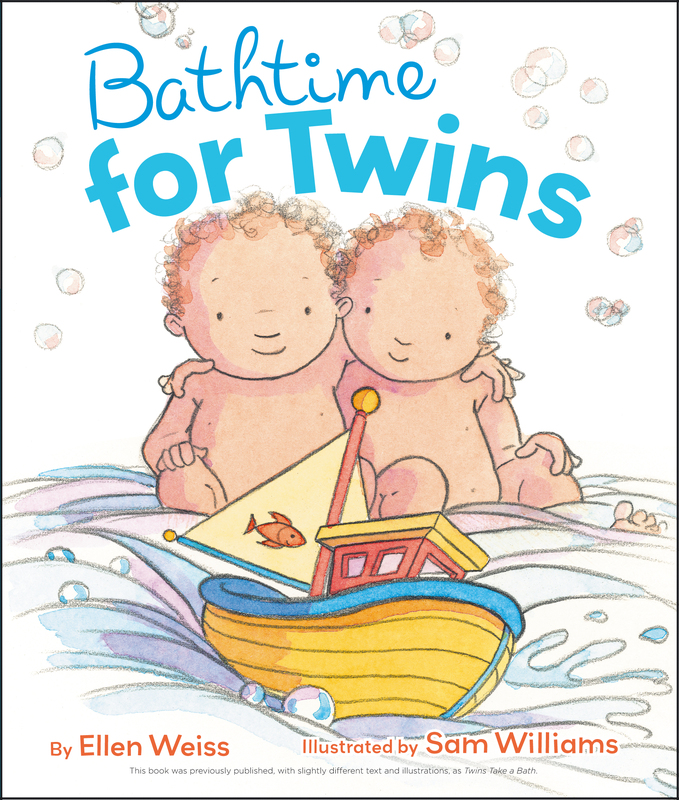 A delightful set of twins show what a blast bathtime can be in this playful board book. Expect grins and giggles from little ones as these funny siblings splash, have tea, play peek-a-boo, and more, until it’s time to say “good night.” Bubbly, rhyming text from Ellen Weiss and soft, charming illustrations by Sam Williams bring this playful story to life.